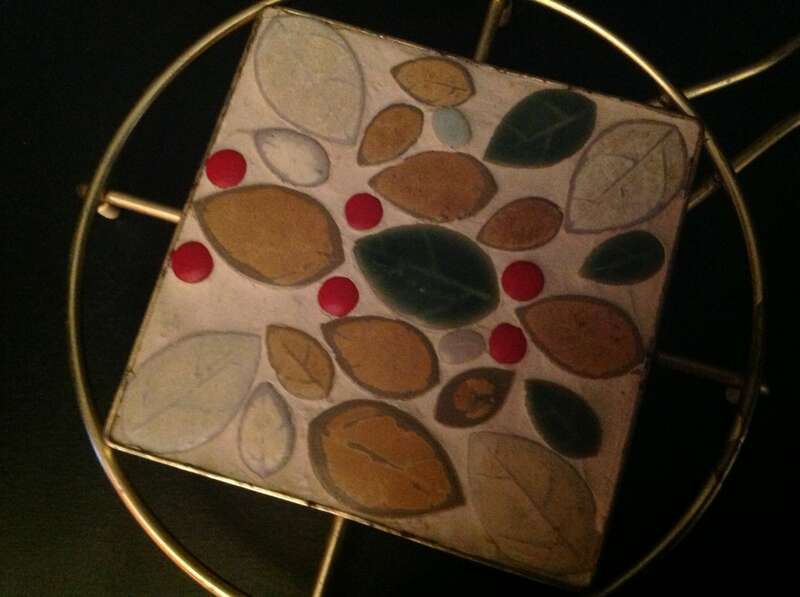 Offered is a ceramic mosaic, plaster and metal hot plate/trivet. 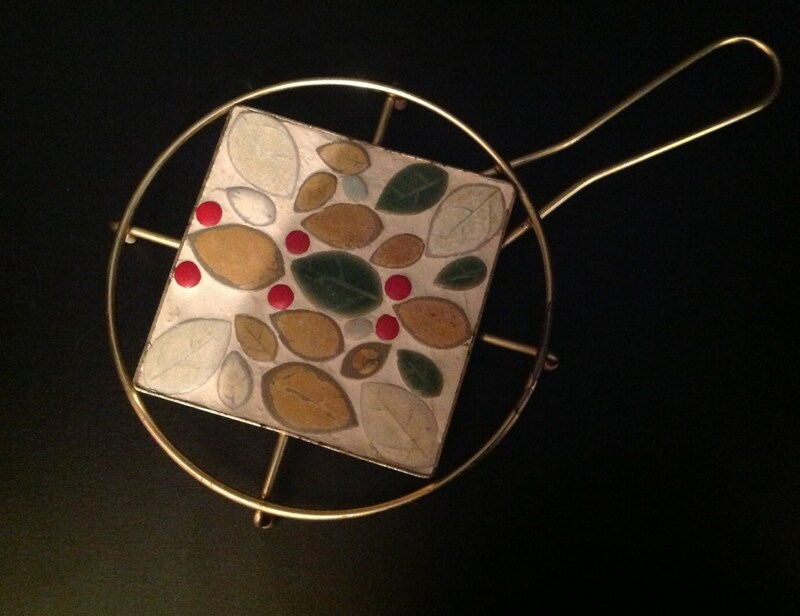 The mosaic design features gold, green, and off-white leaves with red berries. 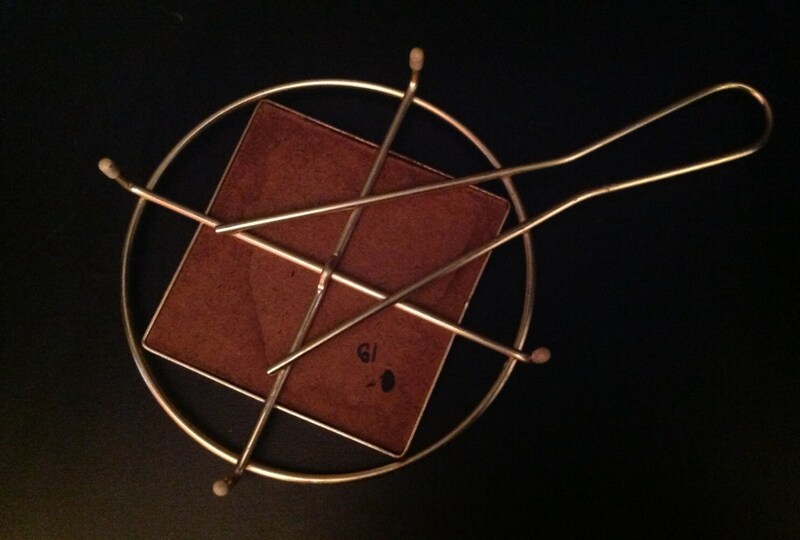 The brass tone frame is tarnished is some places. Black marker notations on back.